Misha Rosenker enjoys a diverse career as a solo performer, chamber musician, orchestral player, and teacher. Hailed by the Des Moines Register for his “virtuosic surety and musical integrity,” the Boston Musical Intelligencer praised his “warm, nuanced sound” while the Baltimore Sun noted a performance of “terrific music-making – technically refined, emotionally charged.” Mr. Rosenker has appeared as soloist with the Des Moines Symphony, Spokane Symphony, Mankato Symphony, and the Chicago Chamber Orchestra, performed at music festivals including Brevard, Cape Cod, Carmel Bach, and Sun Valley, and collaborated with members of the Borodin, Brentano, and Tokyo String Quartets. 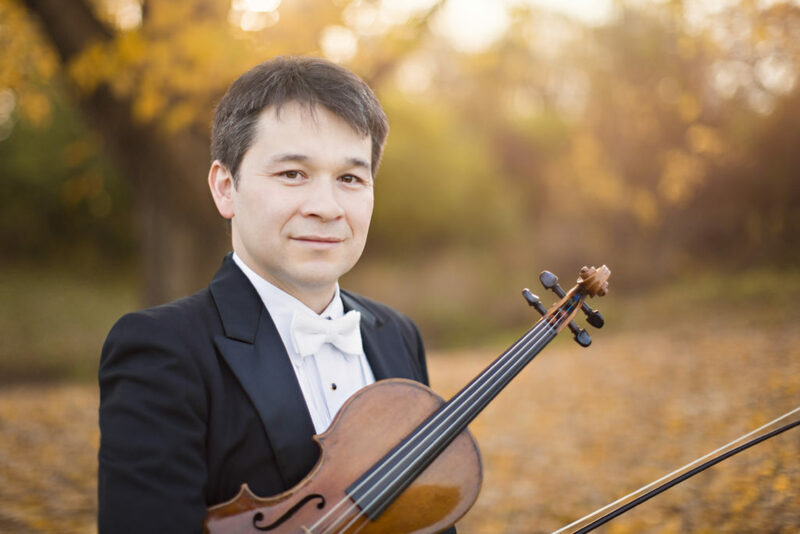 His passion for teaching has led to prior faculty appointments including the University of Georgia, Drake University, and the Peabody Conservatory of the Johns Hopkins University where he replaced the violinist Martin Beaver. Mr. Rosenker is currently principal second violin of the Des Moines Symphony. He studied with Josef Gingold and Sidney Harth and earned degrees from Yale and Indiana University.